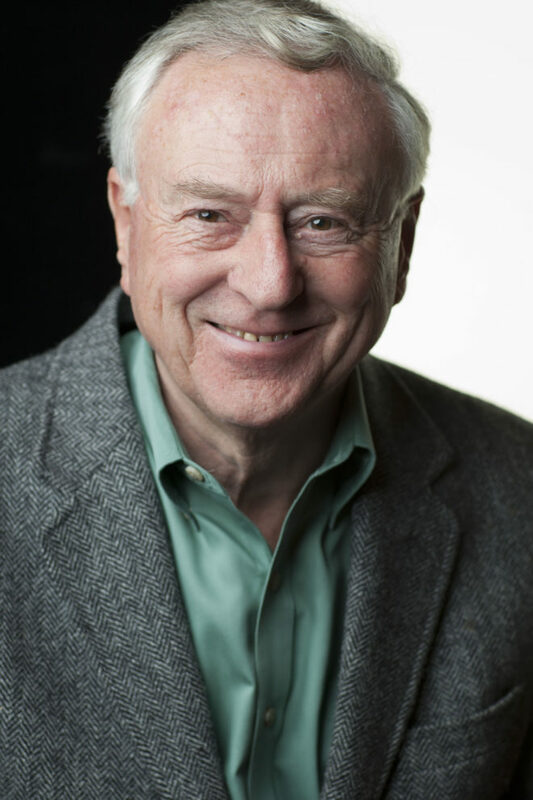 The Pittsburgh Glass Center has announced itsfirst Ron Desmett Memorial Award for Imagination in Glass. 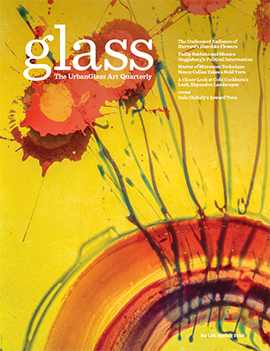 Artists who take glass to innovative heights and take risks, in the vein of the late Desmett, are called to apply and can do so online by May 31, 2018. PGC will grant at least one award a year, consisting of $2,500 in cash along with classes and studio access valuing $2,500, for a total award value of $5,000. 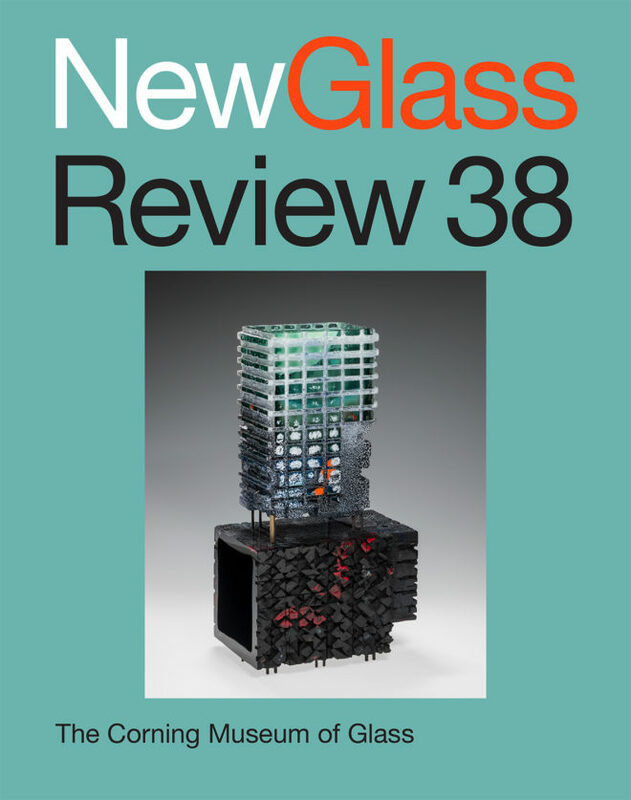 Awardees’ work will embody the innovative and rule-defying spirit of Desmett’s glass work. 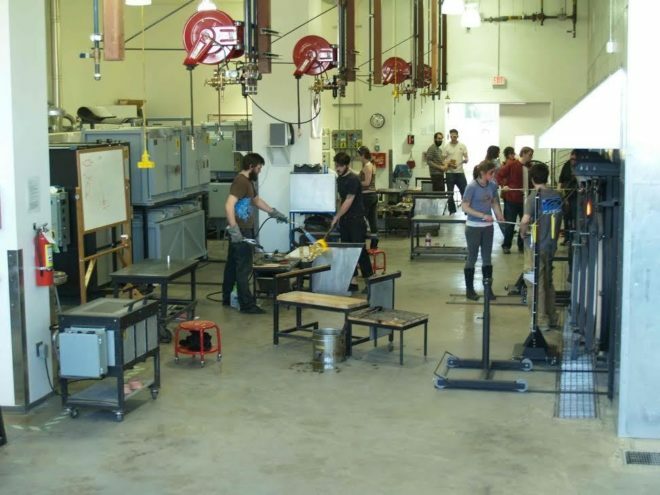 The Tyler School of Art at Temple University is searching for a full-time non-tenure-track assistant professor for its glass program. Candidates with mastery of traditional and contemporary glass techniques should apply by July 12, 2017, to receive priority. The ideal applicant would be able to teach a range of courses from introductory to advanced and conduct research-based classes that are both conceptual and experimental. Applicants should also have produced work shown in national exhibitions and demonstrate a passion for teaching their skill. The Corning Museum of Glass announced a new artist residency program, only this one won’t take place in their studio, but instead in their library. 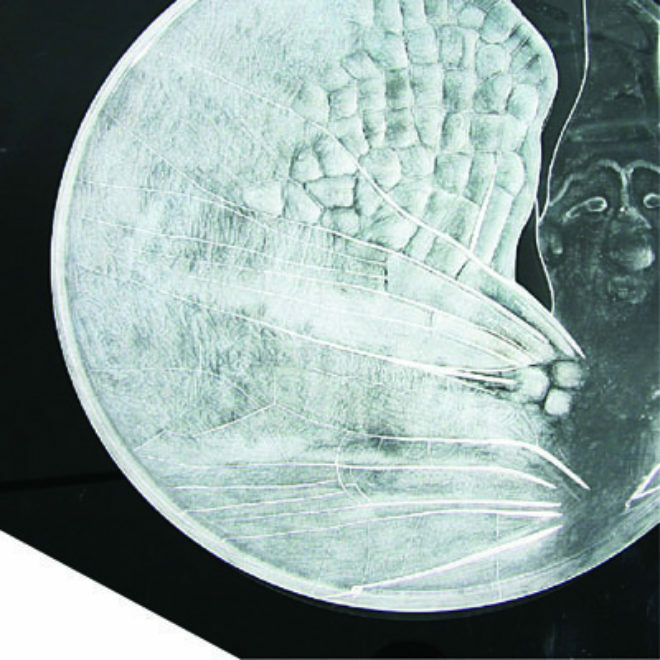 The David Whitehouse Artist Residency for Research will offer one artist up to three weeks in The Corning Museum's Rakow Library, which they are free to peruse (along with the museum’s permanent collection) in any sort of research effort to expand their knowledge of glass technique and history. This residency is similar to the Rakow Grant, which the Corning Museum offers to scholars to conduct research, but the Rakow is reserved for scholars alone and does not necessarily have to take place on site. The Whitehouse residency, on the other hand, is exclusively for artists, is completely onsite, and can last from one to three weeks. The deadline to apply is August 31, 2017. The exterior of Chihuly Garden and Glass in Seattle as pictured on its website. 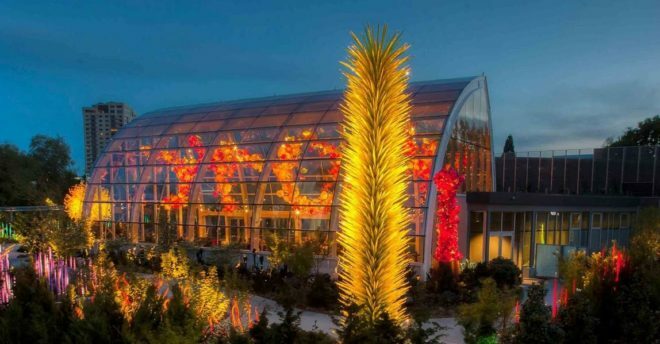 In honor of its fifth anniversary, Chihuly Garden and Glass, the for-profit long-term Chihuly exhibition in Seattle Center, is offering a $10,000 scholarship for an emerging glass artist in the Seattle region to take classes at either Pilchuck Glass School or Pratt Fine Arts Center. The program is offered in conjunction with the Chihuly Studio. Though announced through Facebook and a press release, information on how to apply for this opportunity hasn't been easy to locate. The application is on the Garden and Glass website, but only under "Events," where it comes up at the bottom of an article about the organization's fifth-anniversary activities. 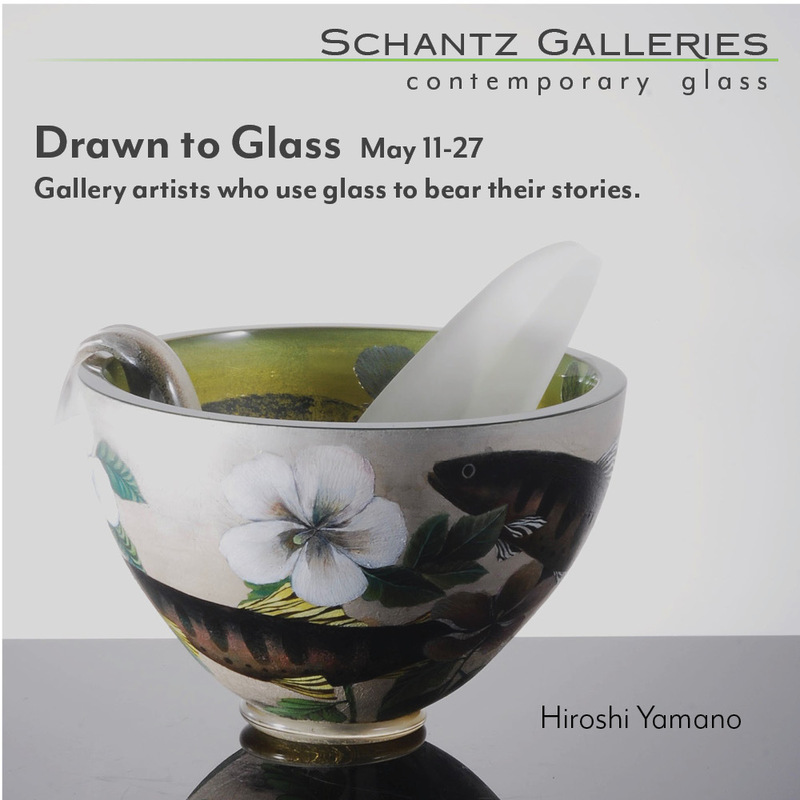 Still, this is a generous opportunity, one of a series of initiatives to give back to the glass art community, and worthy of attention for every Seattle-area glass artist who fits the criteria. 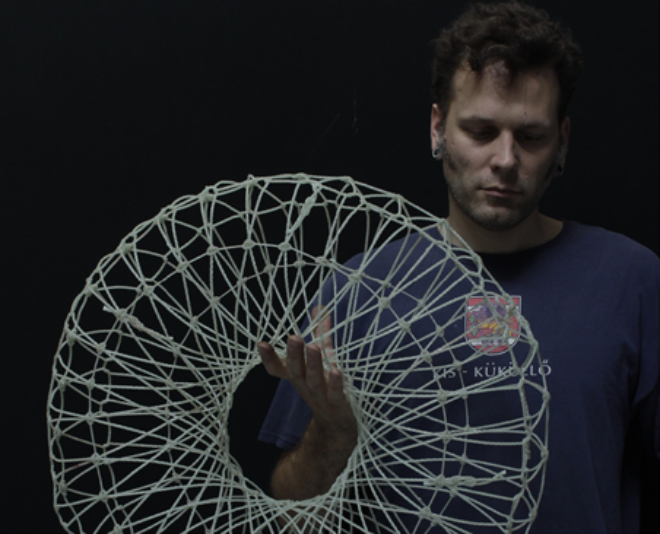 2016 TIGA Artist-in-Residence, Matthew Szösz, Ampere's Law. glass fiber. courtesy: artist website. The Toyama City Institute of Glass Art (TIGA) is now accepting applications for its sought-after artist-in-residence program, set to take place October 19 to November 29, 2017. 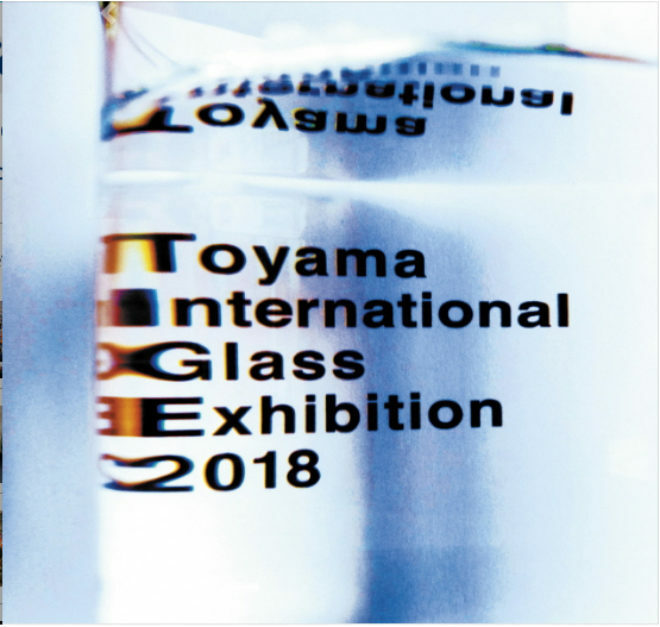 Each year, TIGA selects one artist of any glassmaking discipline to work and live for six weeks in Toyama, Japan, aptly dubbed “Glass Town”—a seaside city with a 400 year-old crafts tradition. TIGA’s artist-in-residence program was established in 2010 to invigorate the local community and promote Toyama’s rich cultural and arts heritage. Former artists-in-residence, selected from an international and diverse group of applicants, include Anna Mlasowsky (2011), Ethan Stern (2012), Ben Wright (2013), Pavlina Cambalova (2015), and Matthew Szösz (2016). The current faculty includes head professor Jin Hongo and associate professor Amy Rueffert. Artists from the 2016 Residency at Salem State. courtesy: The Glassworks Studio at Salem State University Facebook page. 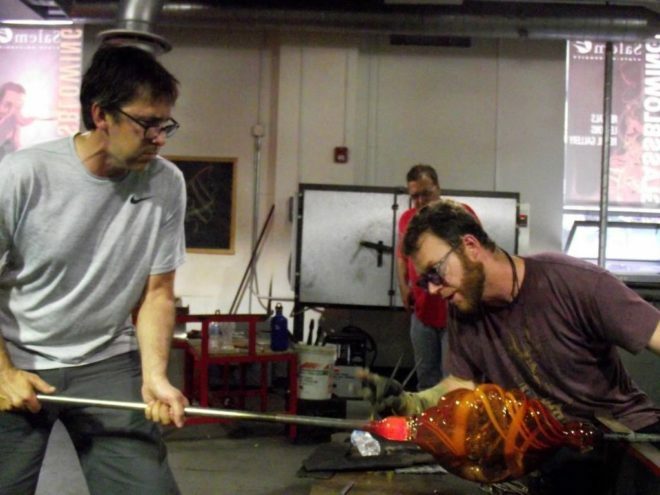 In June 2017, The Rosenberg Residency at Salem State University, now in its fifth year, will offer month-long access to its glassblowing facilities for four artists to pursue individual and group projects. For its third biennial academic symposium, UrbanGlass is again partnering with the Robert M. Minkoff Foundation to present an international gathering of department heads, professors, and educators to discuss best practices in the lecture hall and studio. 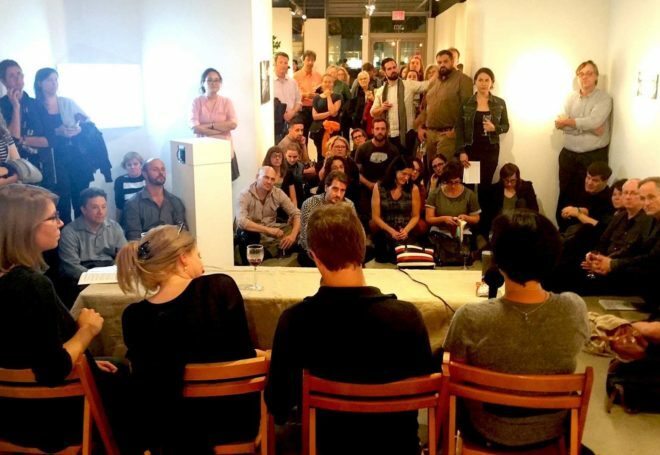 The upcoming symposium, titled "Issues in Glass Pedagogy: Curriculum and Career," will take place from October 12 -14, 2017 in New York City, and will examine the factors that determine students' post-graduate success. Among the areas of interest are investigations into the economic challenges facing professional contemporary artists, as well as the educational interventions that are most effective in preparing graduates to thrive. The symposium organizers are now accepting proposals for lecture presentations, panel dicussions, and studio demonstrations that address how academic curricula and programs can affect career outcomes, with a special focus on best practices, statistical analysis, and case studies.